The 20/30 PV™ microspectrophotometer is for taking spectra and images of microscopic samples by UV-visible-NIR absorbance, reflectance, Raman, polarization and fluorescence. 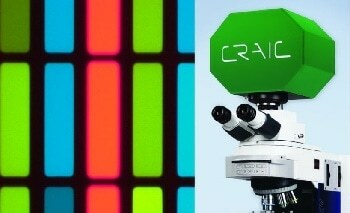 The innovative 20/30 PV™ is the most advanced instrument from CRAIC Technologies. It incorporates the latest technology in optics, spectroscopy and software to deliver the superior performance with unparalleled speed and capabilities. Featuring the ease-of-use for which CRAIC instruments are known, this instrument the cutting edge of UV-visible-NIR and Raman microspectroscopy. The 20/30 PV™ microspectrophotometer combines the latest technologies to allow the user to measure UV-visible-NIR range transmission, absorbance, reflectance, Raman, emission and fluorescence spectra of sample areas smaller than a micron across. Even the thickness of thin films and color spaces may be determined. And while microspectra are being acquired, the sample may be viewed with high-resolution digital imaging in the deep UV, in color or in the near infrared. Ease of use features also add to the power of the 20/30 PV™ system and include everything from improvements in the instruments ergonomics to software to automation. UV-visible range microspectroscopy is utilized for studying individual protein crystals. Such protein crystals are being used in a number of applications, such as controlled drug delivery, drug design, bioseparations, and structural biology. UV microspectroscopy, as such, is used to analyze the optical properties of individual crystals and also for quality control of these crystals as they are grown. Which issues were the 20/30 PV™ microspectrophotometer developed to address? 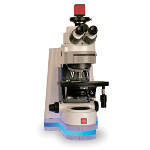 The 20/30 PV™ was designed to acquire spectra of microscopic samples and sample volumes. 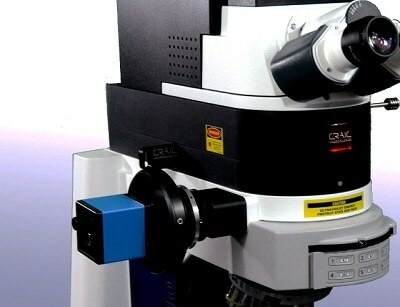 It was developed as a precision research-grade instrument and is currently in use in many laboratories around the world. It is used in the characterization of novel materials and the study of such phenomena as surface plasmon resonance, different forms of carbon nanotubes and graphene, and a host of other projects including the development of novel thin films to be used for semiconductors and photovoltaics. What flexibility does it offer to the user? The 20/30 PV™ is a multi-functional instrument that can be configurd in many different ways. The 20/30 PV™ operates in the UV-visible-NIR region and it can be configured to acquire transmission, reflectance, Raman, fluorescence and polarization spectra of micron scale samples. 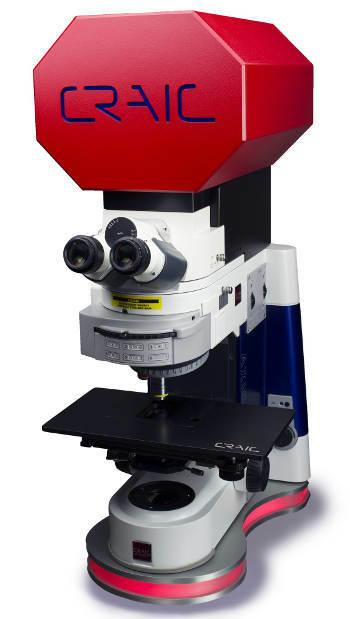 It can also be used to measure thin film thickness, color spaces and to map the spectral response of large samples with sub-micron spatial resolution.